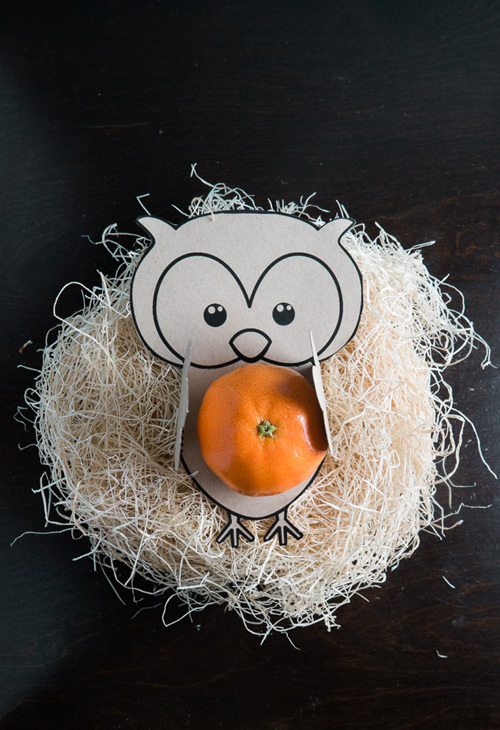 I stumbled upon a very cute "owl hugger mandarin craft" that'd make a cool table decor for any party. 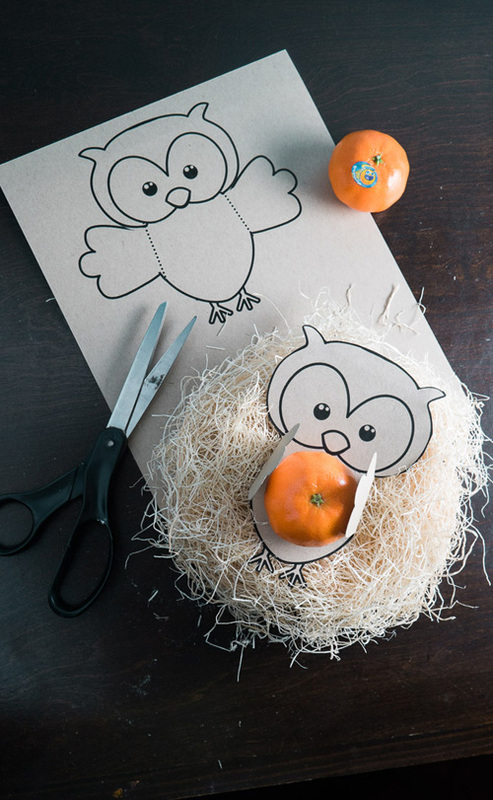 Just download and print out the owl template that’s perfectly-sized to “hug” a mandarin. 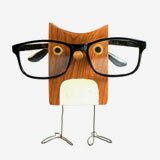 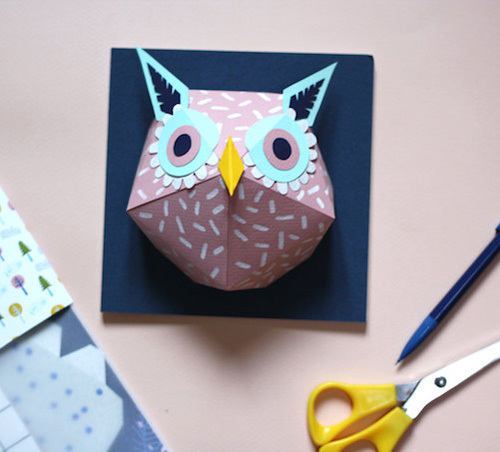 It's recommended that you use thin card stock, so the owl can be moved and its’ arms stay upright. 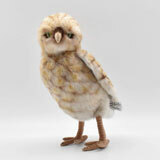 You can place the owl in a little nest and set them in front of the kids's seats. 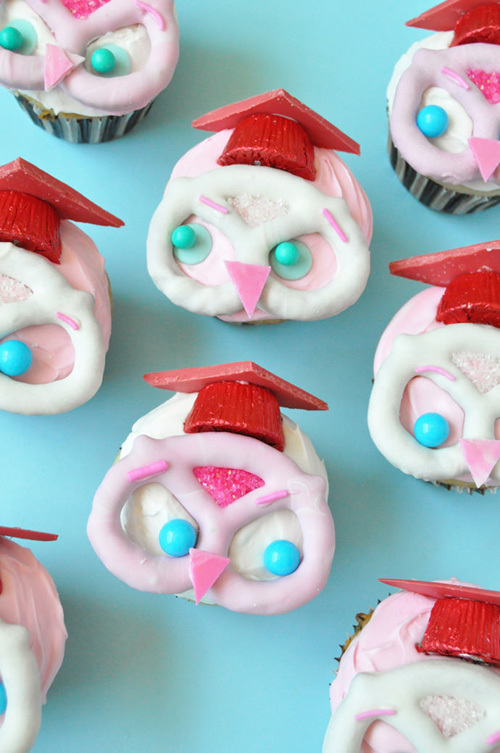 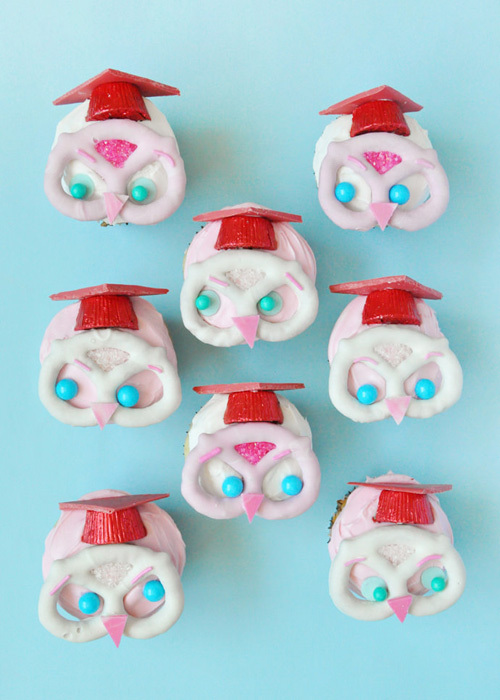 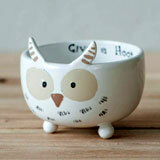 They would love to eat their fruity snack coming from the cute owl. 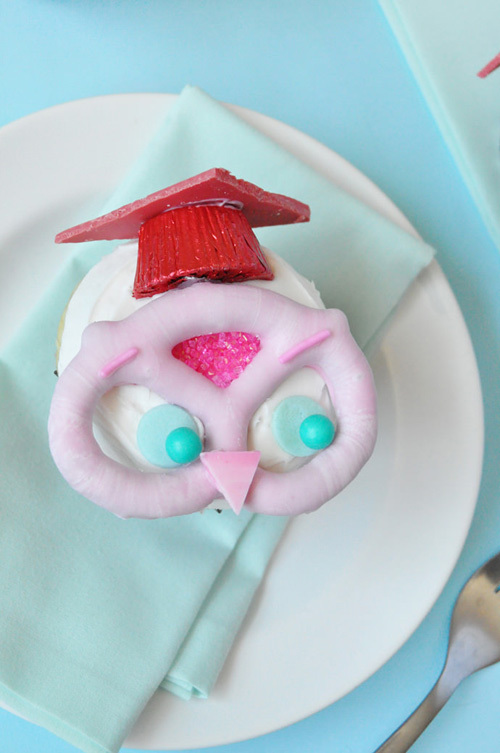 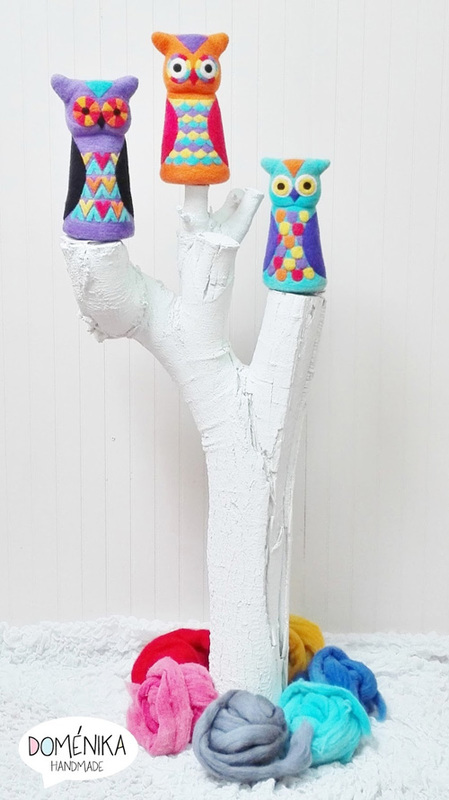 You can be creative and put crayons on the owls if you are planning a fun afternoon activity for the kids. 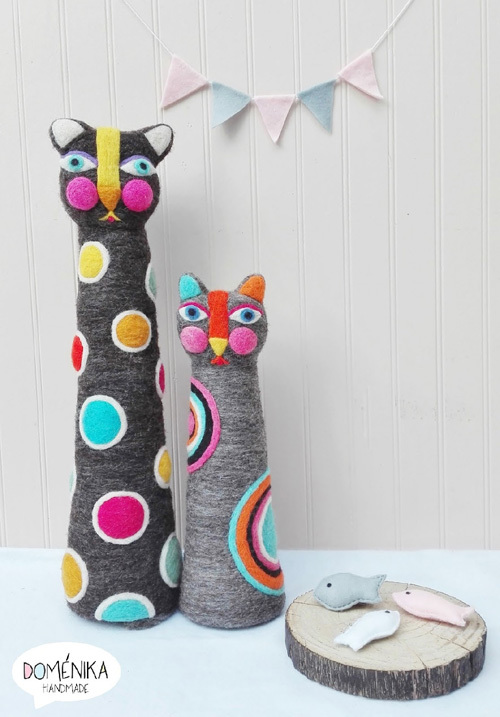 Stephen Joseph was founded in 1981 by Alexandra "Alix" Buckley that specializes in creating unique baby and kids products. 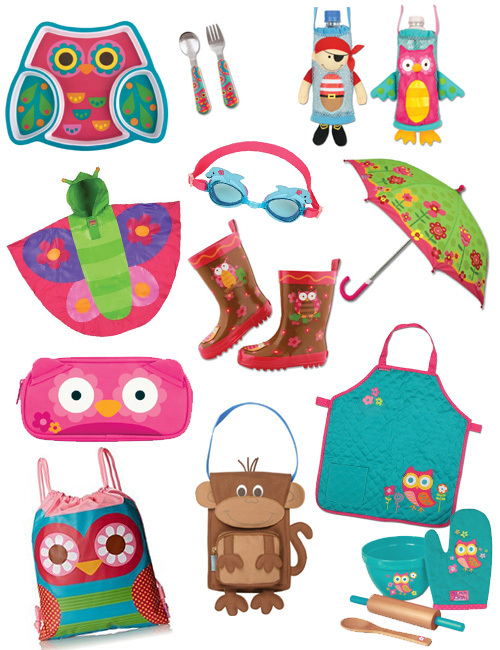 I am amazed at the huge range of their products for the little ones like colorful melamine dinnerware, rain gear, bags and pouches, swim gear, travel gear, and much, much more! 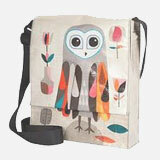 The kids will love these cute products decorated with owls, butterflies, monkeys, flowers, pirates, mermaids etc. 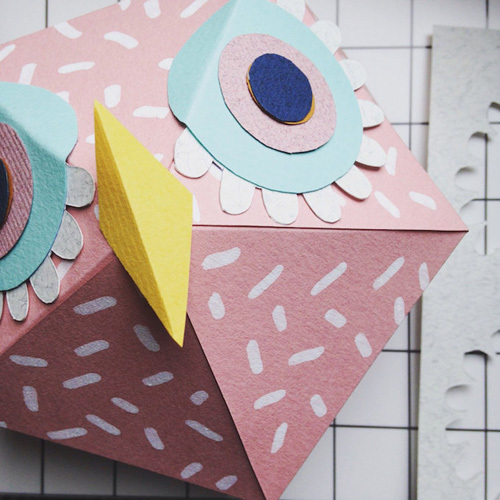 You can grab a product or two for your kid, or to give as a birthday gift. 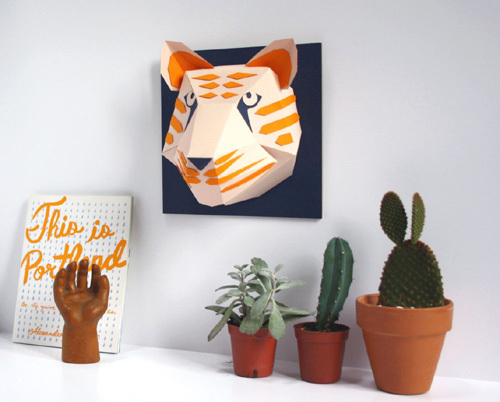 You can find all the products shown above and more here. 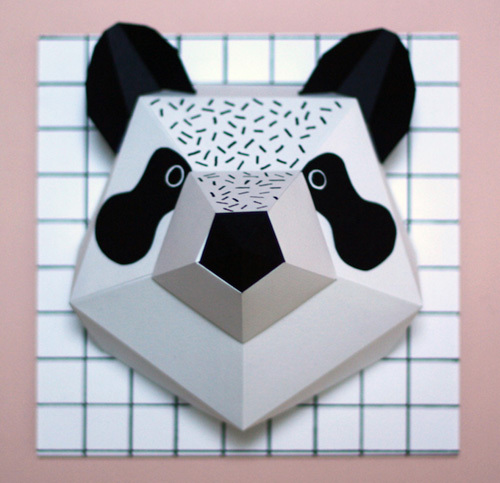 The first time I featured Mlle Hipolyte's brilliant paper cut masks and hangable paper sculptures, it was over a year ago. 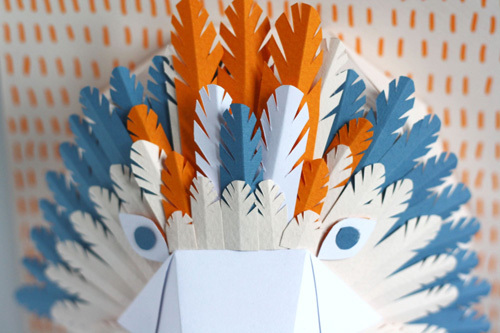 I thought it was time I checked out new work by one of my favorite paper artists, so I went snooping around. 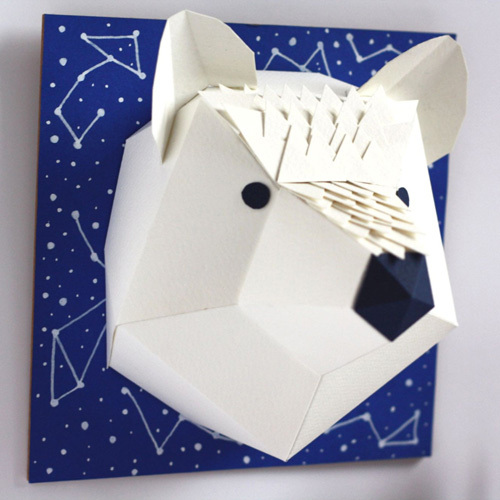 What I find is that she just recently opened her online store on Etsy where she sells her handmade paper creations. 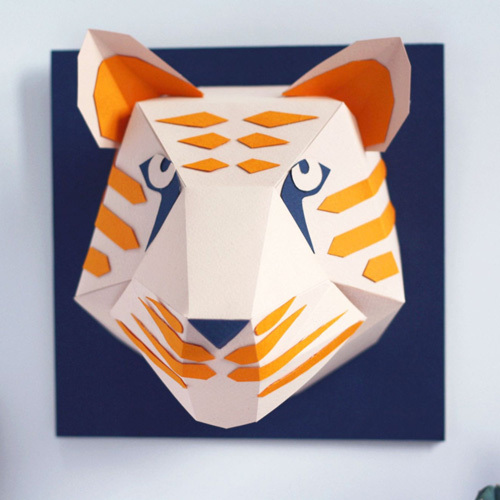 You can bring home her limited edition animal heads of owl, panda, tiger, fox etc. 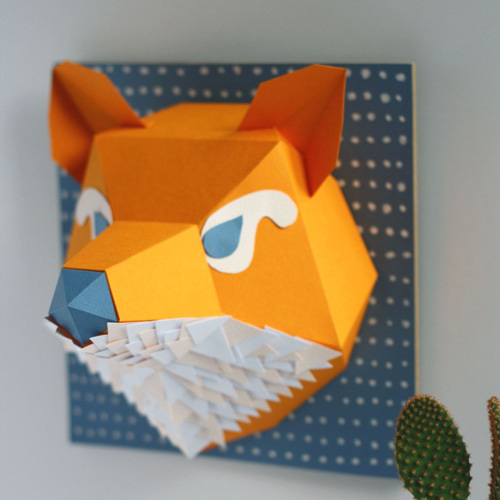 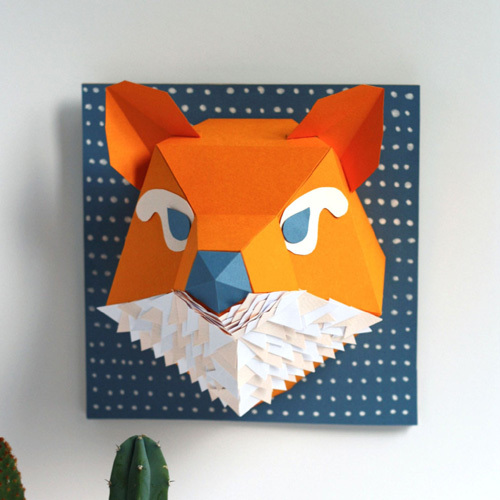 made with meticulously cut tiny paper and mounted on a wooden base for easy hanging. 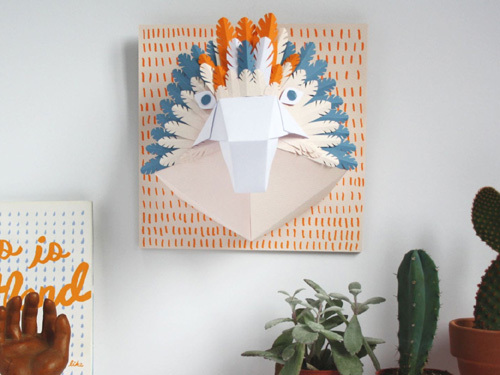 She had diy kits in her store previously to make these animals at home with help of guided instructions. 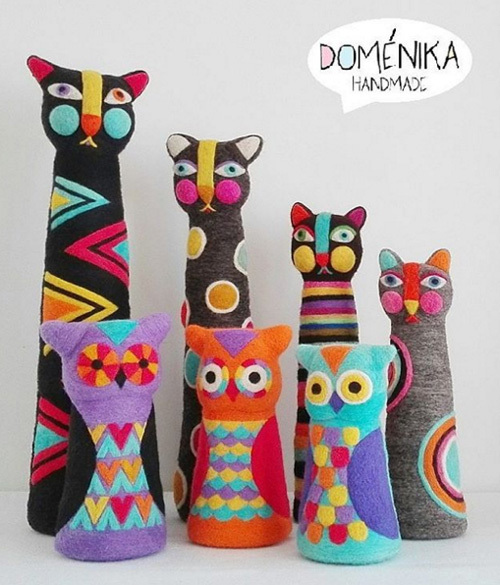 They are sold out, but you can keep checking her online store if she adds more in the future. 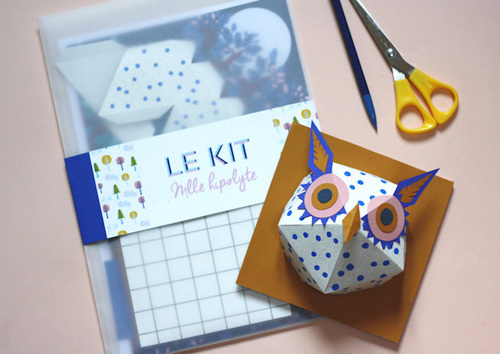 They'll be fun to make! 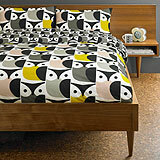 Blackbird, Blackbird, What Do You Do? 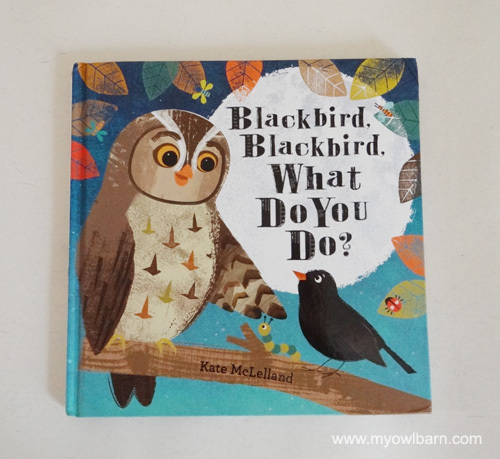 by Kate McLelland is a sweet story of a little curious blackbird named Pip who is leaves his nest to go find want can he do. 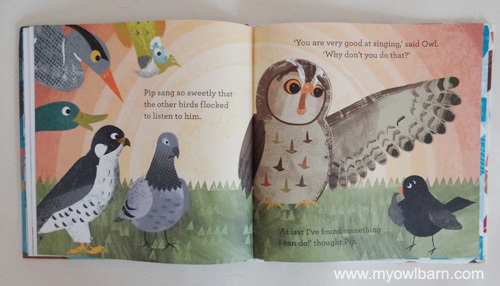 In the process of finding out what is he good at he meets many birds - owl, heron, puffin, pigeons, and tries to do what they do. 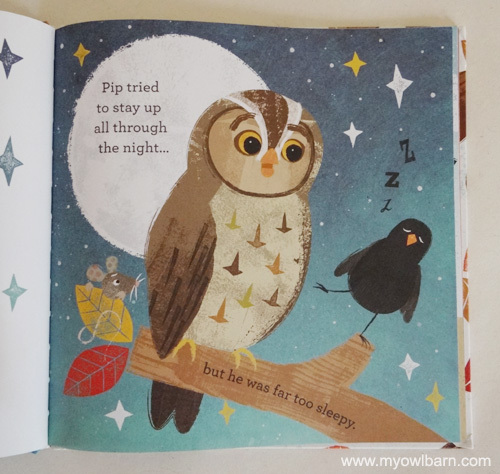 But soon he finds out that he is not good at staying awake at night like owls, or digging holes like puffins or peeking seeds like pigeons. 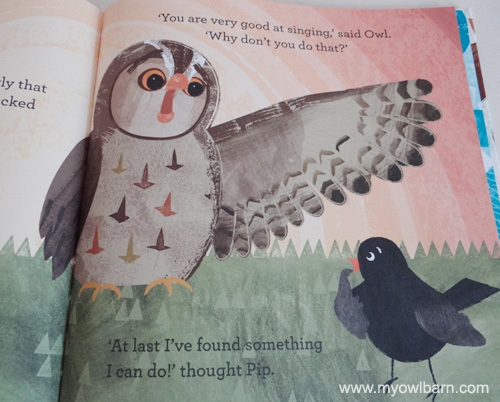 Until he discovers his special talent - he can sing! 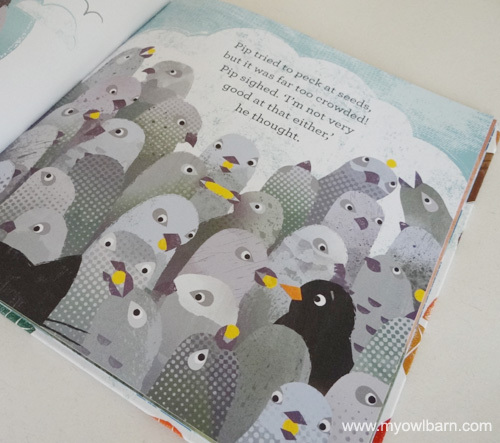 The story is told with eye-catching illustrations. 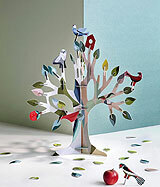 The birds and their environment is depicted with beautiful colors, textures and shapes. 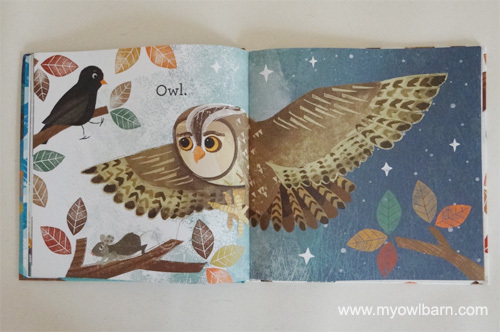 My very favorite is the tawny owl shown in the second picture above. 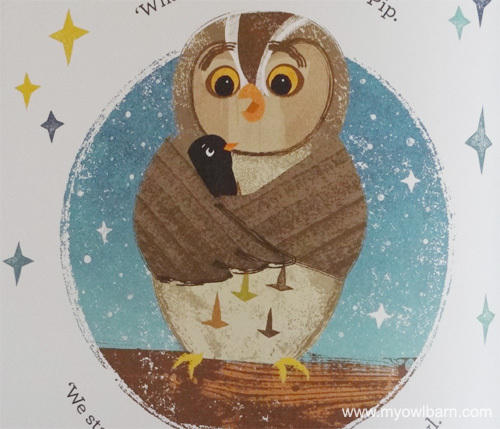 The bold graphic of the owl spreading across two pages with the night sky as the backdrop glittering with stars is sure make children and their parents very happy. 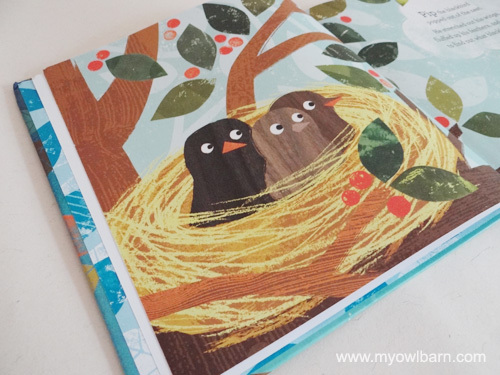 The kids will love the blackbird's little adventure where they will meet all sorts of "hidden" critters as well. 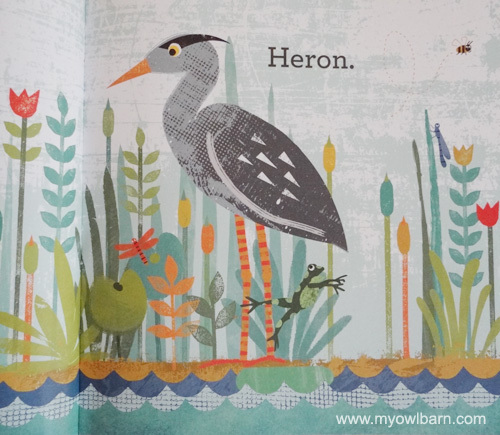 They will enjoy spotting caterpillar, spider, frog, dragonfly as they go along. 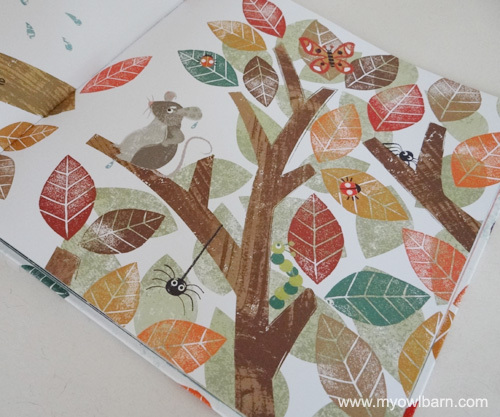 The book is available online here. 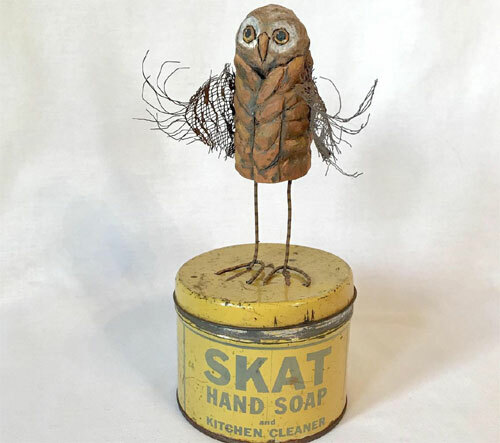 I hope you all had a wonderful weekend and now ready for some action! 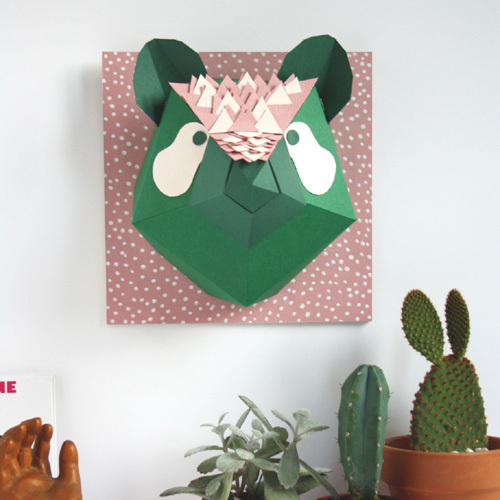 Let's start our brand new week with the fabulous work by Eugenia Ramos Psijas. 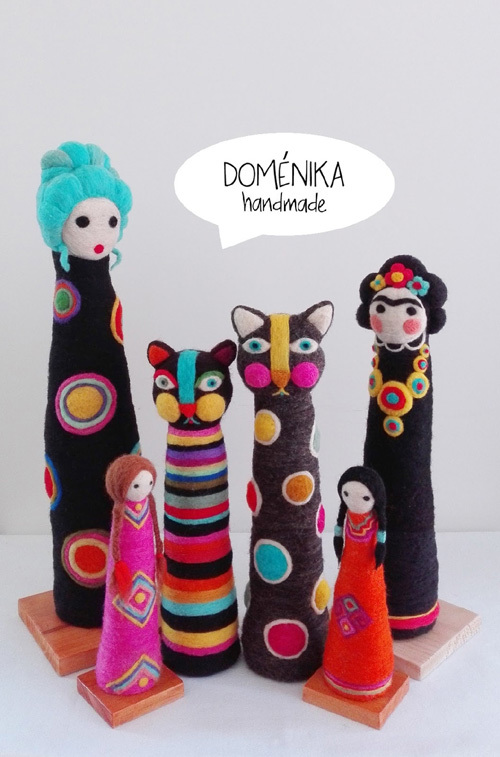 I have to admit that I did not know about her work until she emailed me. 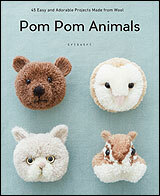 And boy, am I glad to see her beautiful needle felted sculptures. 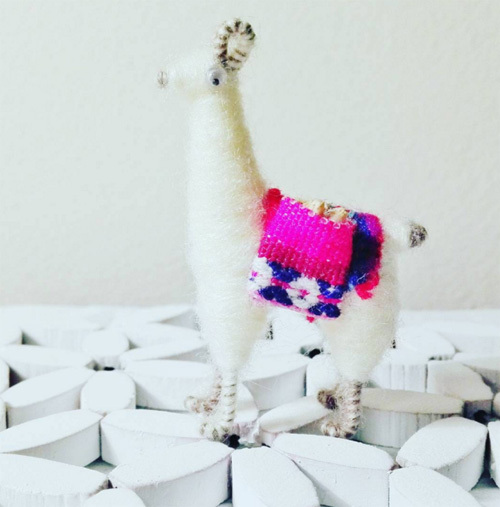 Eugenia Ramos Psijas is a self-taught artist from Chile who studied graphic design, and since 2007 exploring different techniques in synthetic felt. 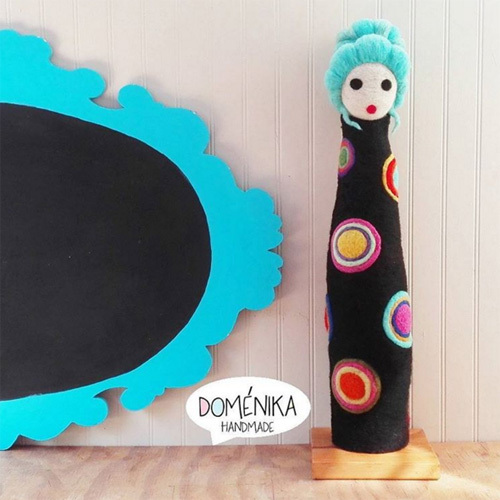 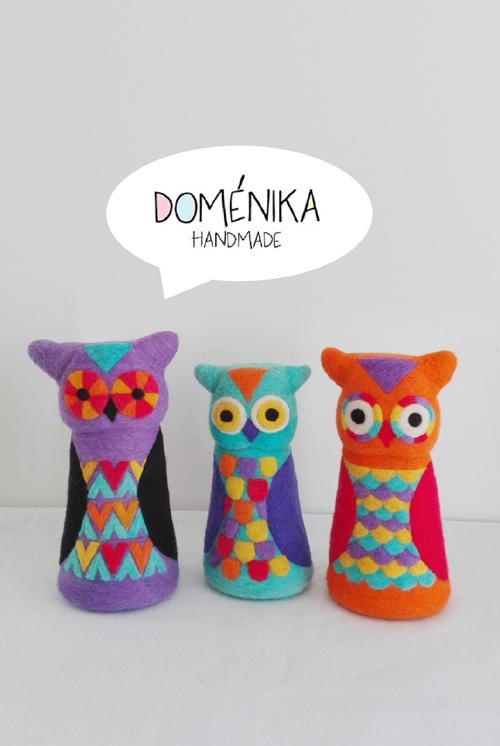 She makes owls, cats, different styles of dolls, trees and birds in vibrant colors under the name “Doménika Handmade”. 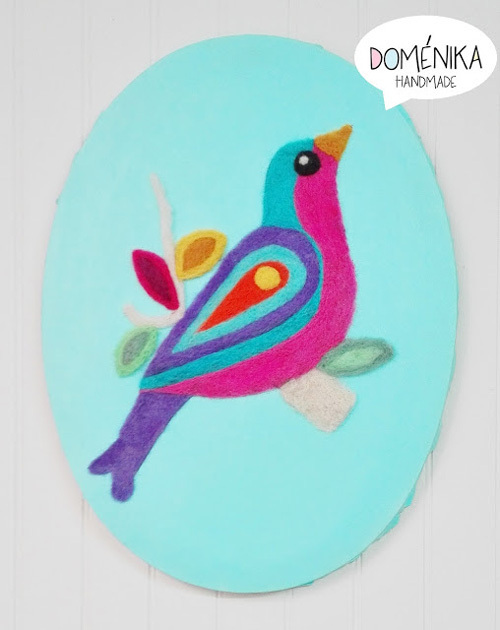 Her pieces are mounted on a wooden base and are felted on canvas so they appear like painting. 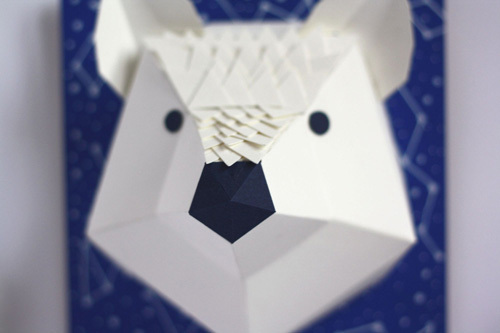 Her work shows attention to detail and labor of love. 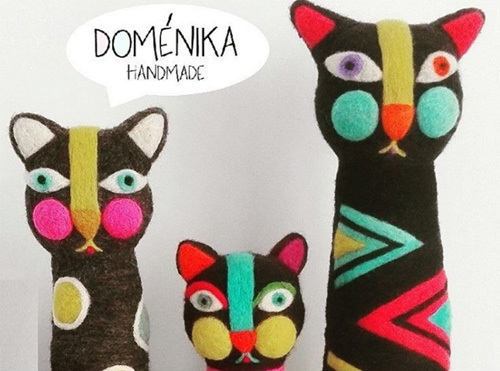 She doesn't have an online store yet, but you can join her on Instagram.